American educator; born in New York city May 17, 1875. He was graduated from Columbia University in 1895, and took postgraduate courses at Harvard and Columbia universities (Ph.D. 1899). In 1899 he was appointed tutor and in the following year adjunct professor of comparative literature at his alma mater. 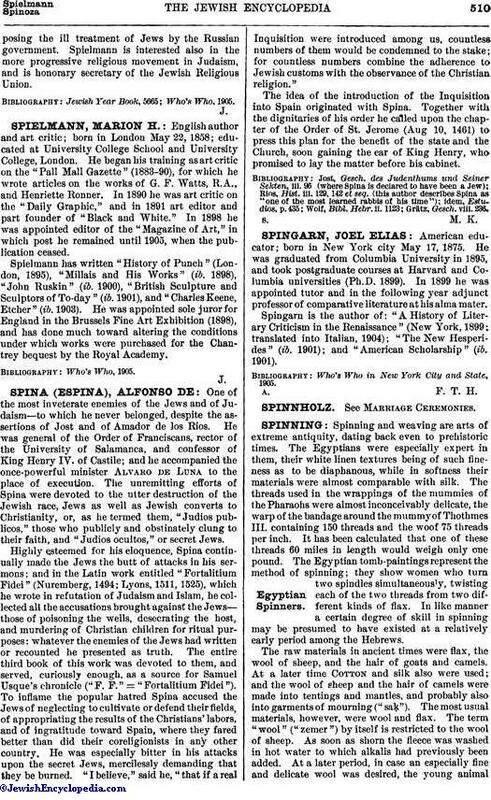 Spingarn is the author of: "A History of Literary Criticism in the Renaissance" (New York, 1899; translated into Italian, 1904); "The New Hesperides" (ib. 1901); and "American Scholarship" (ib. 1901). Who's Who in New York City and State, 1905.